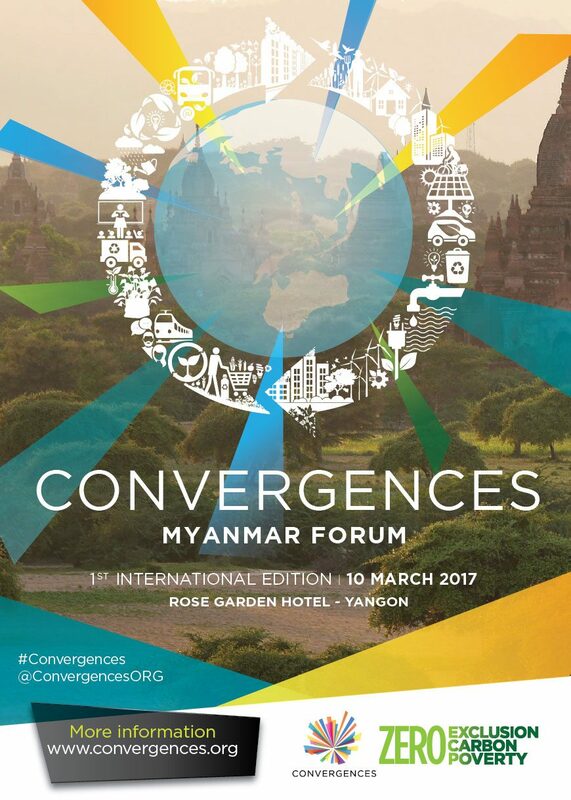 For the first time since its creation, Convergences is going abroad with a Forum organised in Yangon, Myanmar on March, 10th 2017! The Burmese delegation coming to Paris was very enthusiastic about the Forum, and wished to organize a similar event in Myanmar. As a result, Convergences started working on organising this Myanmar Forum with the support of the French Ministry of Foreign Affairs and the French Embassy to Myanmar. WHAT WILL THE CONVERGENCES MYANMAR FORUM BE LIKE ? To organise this forum, Convergences is being supported by the French Ministry of Foreign Affairs, the French Embassy to Myanmar, and BRAC. Convergences also counts on the technical support of ACTED Myanmar, the French Institute, and the Representation of the French Chamber of Commerce and Industry in Myanmar.